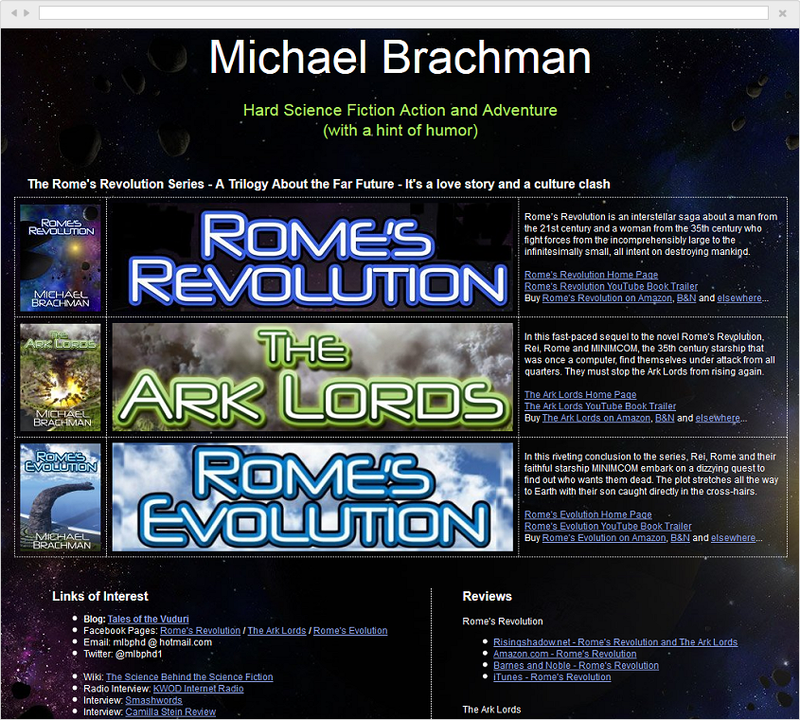 Michael Brachman has been creating realistic yet fantastic hard science fiction for nearly 40 years. He wanted an expandable design to serve as his "author's platform" yet still allow for multiple web sites, each dedicated to a separate novel. The main MLBPHD.COM web site is a vertically scrolling list of novels. Each novel displays a thumbnail of the e-book cover, a banner identifying the book itself, a brief description and "buy links" for Amazon.com and Barnes & Noble. Clicking anywhere on the display then takes you to a new web site, dedicated to that novel. 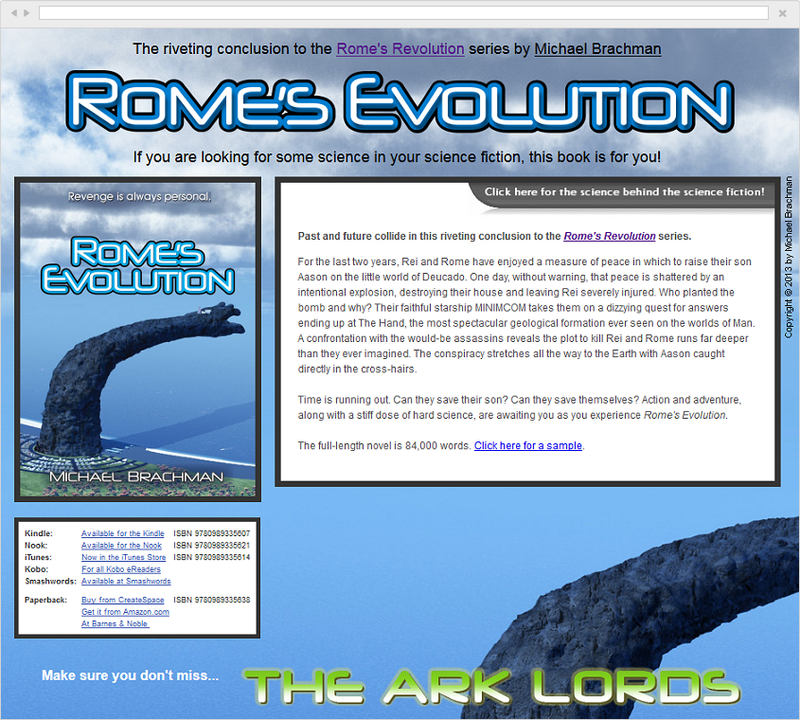 Each book's website contains a much fuller description, a sample, all buy links and in some cases a YouTube video. 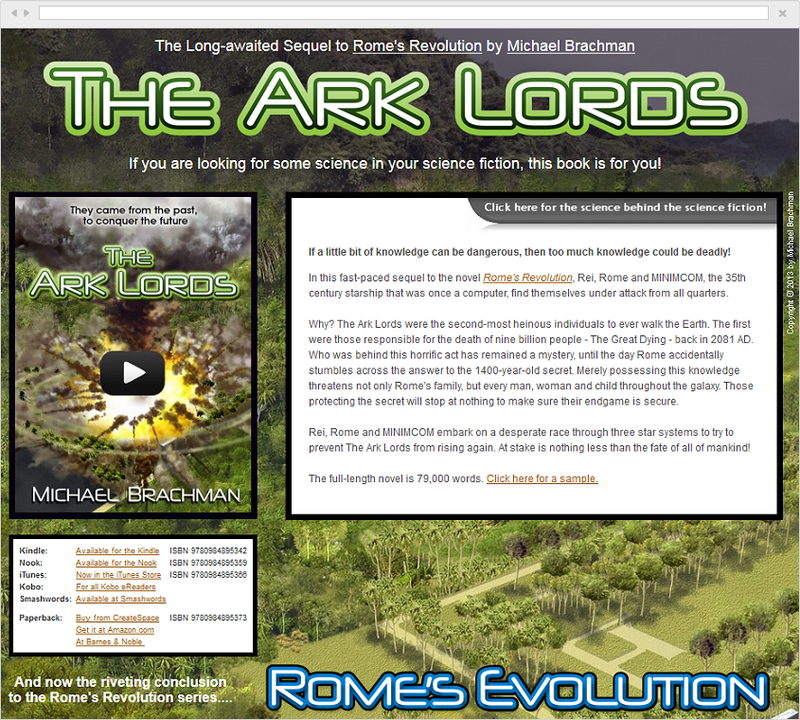 The main trilogy, Rome's Revolution, is made up of the original Rome's Revolution, a second novel entitled The Ark Lords and the conclusion is found in Rome's Evolution. 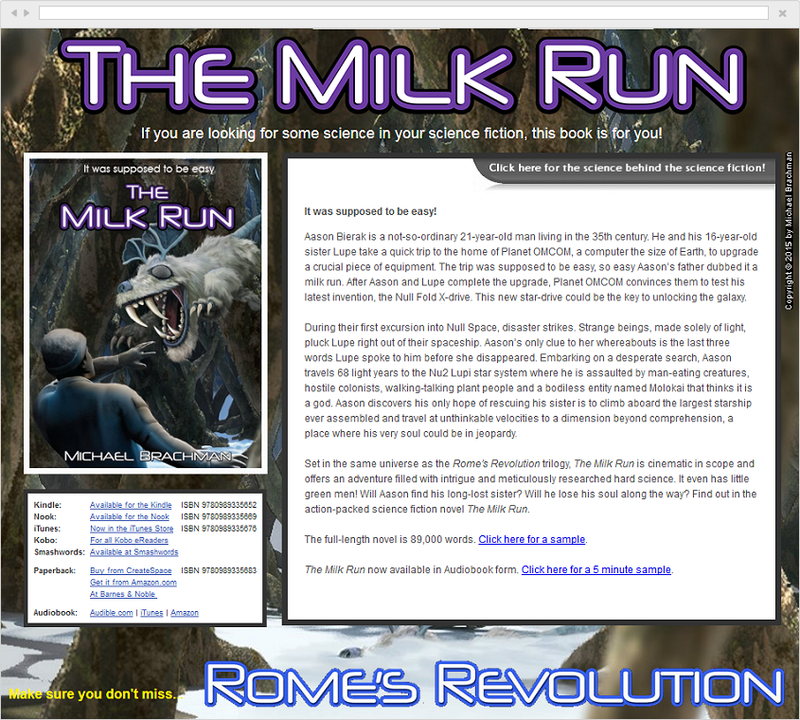 The sequel to the trilogy is entitled The Milk Run and features the children of Rome and Rei, the heroes of Rome's Revolution. The Milk Run is also available as an audiobook. The main MLBPHD.COM also contains a link to Tales of the Vuduri, an ongoing series of essays, now well into its fourth year. 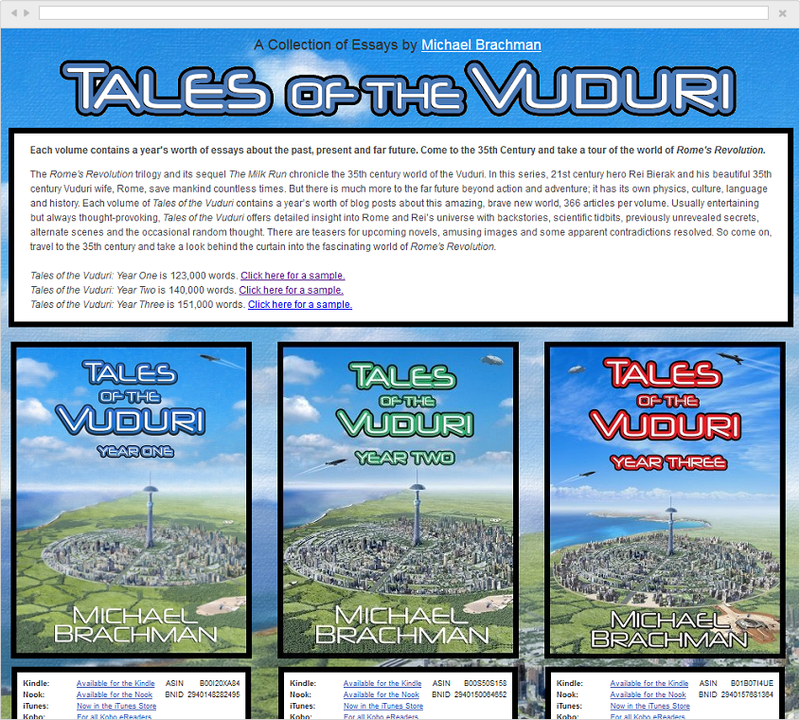 The Tales of the Vuduri web site was built from the ground up to be ever expandable as each new volume is added. 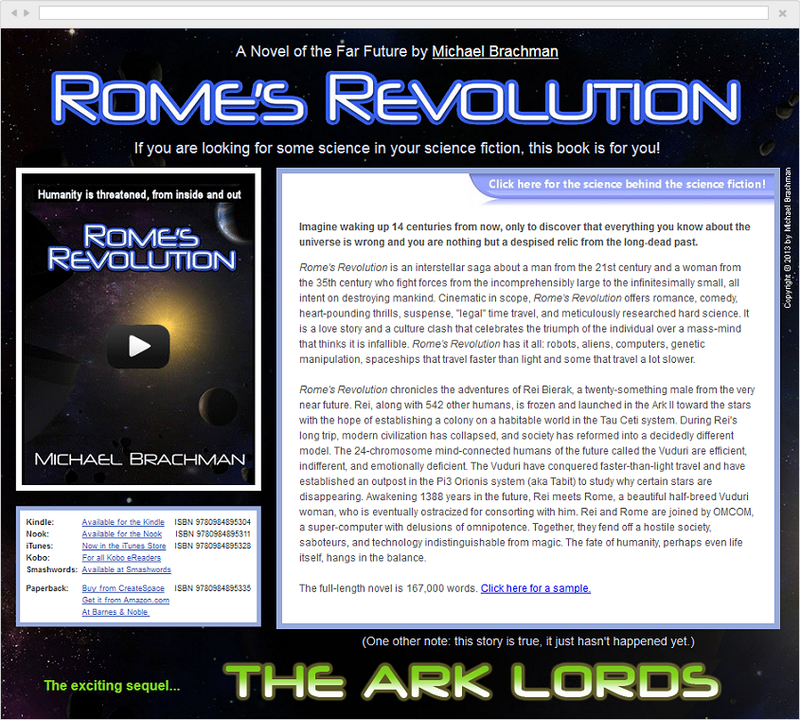 Rome's Revolution: hard science fiction action and adventure with a hint of humor.